Jedburgh Medical Practice - Are You a Jedburgh Carer? Many Jedburgh people rely on carers who make a significant regular commitment of their time and energies. Their work is of great value, providing care and support additional to publicly-funded services. 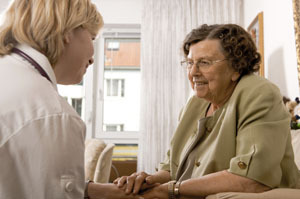 Do You Rely on a Carer? Many Jedburgh people rely on “carers”. Carers can include spouses, partners, children, friends, and neighbours. A person of any age who provides unpaid help and support to a relative, friend, or neighbour who cannot manage independently without the carer’s help, due to frailty, disability, or addiction. If you are a carer or rely on a carer, please let your doctor or nurse know at your next consultation. With your consent, we can add this to your record. We can also provide carers with a booklet “Information for Carers”, and if appropriate a Carers Self Assessment Pack.